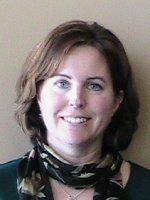 Michelle is a co-owner and physiotherapist at GRSM who has been practicing since 1996. Michelle received a Bachelor of Physical Education and a Bachelor of Health Sciences (Physiotherapy) from McMaster University. These days, Michelle has taken off her clinical hat and focuses her time on management instead. She is the Director of Finance and Human Resources at GRSM, as well as the Clinical Manager of the Kitchener South and Kitchener Downtown locations. Michelle lives in Cambridge with her husband and three children.